Egyptians will be walking tall at the opening of the 5.2-million-square-foot Grand Egyptian Museum in early 2019. Located on the Giza Plateau, it cost more than a billion dollars to build and is billed as the world’s largest museum devoted to a single civilization. Tops among the 50,000 ancient objects slated to be displayed is the first ever exhibit of all 5,000-plus artifacts of the boy king Tutankhamun. See such treasures as King Tut’s six chariots and 3,000-year-old funerary bed, and, through the museum’s glass facade, monumental views of the pyramids and Sphinx. 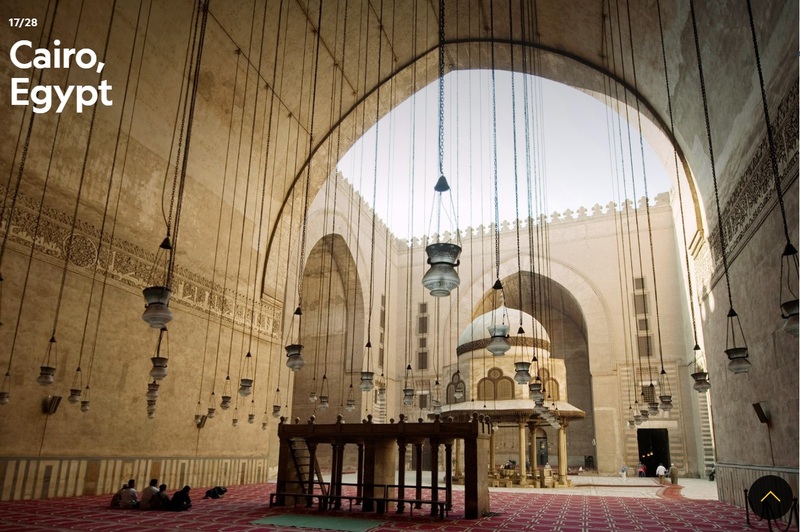 The past is present elsewhere in the Egyptian capital, particularly in the 10th-century Historic Cairo UNESCO World Heritage site, which conserves one of the world’s oldest Islamic cities. HOW TO GO: Heritage Tours offers custom trips that give a glimpse inside the Grand Egyptian restoration labs and explore the Giza Plateau with an archaeologist.